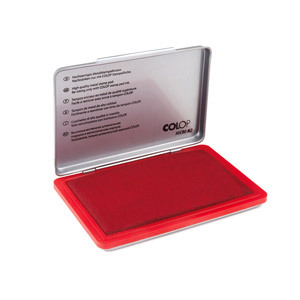 Colop inkpads are available in the standard colours of black, blue, red, green, violet and for daters/numberers in blue/red. 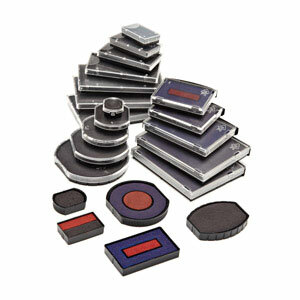 Large range of Inkpads used with traditional rubber stamps for stamping onto matt paper or card. 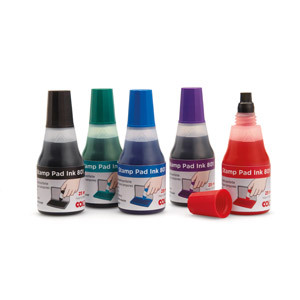 Colop Micro inkpads are ideal for offices and available in red, blue, green, violet, black. Memento inkpads have a greater range of colours. Also larger archival inkpads which are ideal for stamping paper bags and packaging. 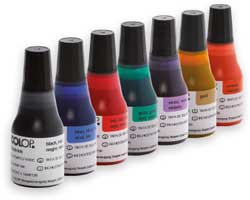 Flash Refill ink for Colop EOS pre ink stamps. Simply add a few drops of ink to replenish.